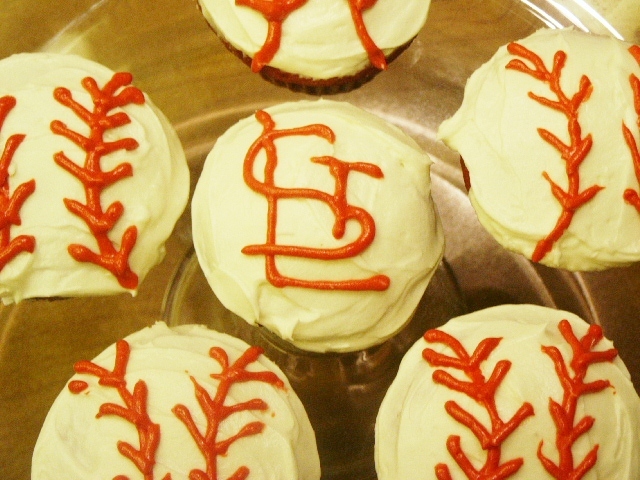 Cakes | Eat It, St. Louis! You can imagine that when I’m in the kitchen I want a recipe. I live it. I love it. I follow it to the letter. I eschew comments and changes that are suggested by reviewers on popular food sites. I find comfort in the structure. Not too long ago, my fabulous food-loving friend, Jane Arnold, and I were embroiled in one of those wonderful post-dinner-and-wine conversations. These are the kinds of conversations where anything seems possible. When she learned that I was now in possession of an accidentally** acquired torte pan, Jane lit up with the idea of a riff on a black forest cake for her birthday. And post dinner and wine, I was SURE I could do it. Now, imagine the anxiety that set in the next day in when I found myself with nothing more than a deadline, a torte pan, the notion of a black forest cake, and no real recipe. As a cold sweat broke across my brow, I took to the internet. Black forest cake traditionally is a layer cake. That, my dear readers, is exactly what I found in recipe after recipe after recipe. I, however, didn’t want to make a layer cake. I wanted to use my newly acquired torte pan. So, I began to read the recipes for themes so that I could create my version of this Bavarian classic. The first thing I learned was that Kirschwasser (clear cherry brandy) is a traditional ingredient. Cake makers use it to create depth in the cherries and to add a little zipity-do-da to the whipped cream. Kirschwasser is a clear cherry brandy. I bought my bottle at Randall's on Jefferson in STL. The other “themes” are all pretty obvious: chocolate cake; cherries; whipped cream. The methods by which someone like me might incorporate these themes, however, are all over the board. Some recipes call for box cake mixes; others called for canned cherries in heavy syrup; and yet others suggested processed whipped-cream-style products. To be honest, that wasn’t what I was looking for. I started with a chocolate cake recipe that I found on Epicurious. It’s lovely and rich. The best part is that it is a perfectly sized recipe. The original instruction is for this cake to be split between two five-inch pans. It, therefore, was perfect for one nine-and-a-half-inch torte pan. Next, I googled “kirsch whipped cream” and what came up was perfection: cherry chocolate shortcakes with kirsch whipped cream! I had no intention of making shortcakes … this time .. but it gave me that deconstructed direction I was craving. I made beautiful boozy cheeries. 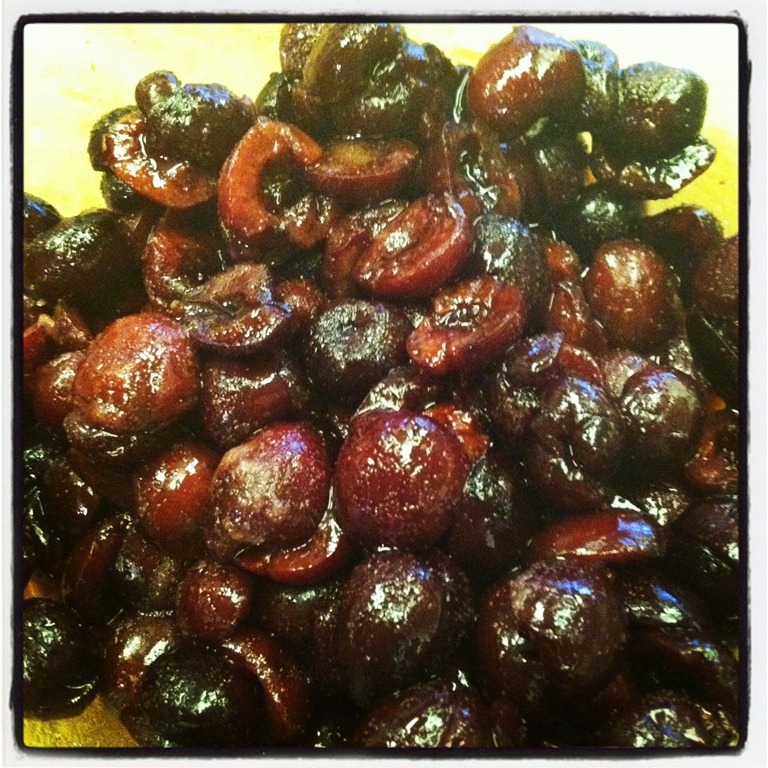 I used frozen cherries with no sugar added (it being February and all). Otherwise, I would have started with fresh bing cherries. I confidently whipped up gorgeously flavored and not-to-sweet cream. 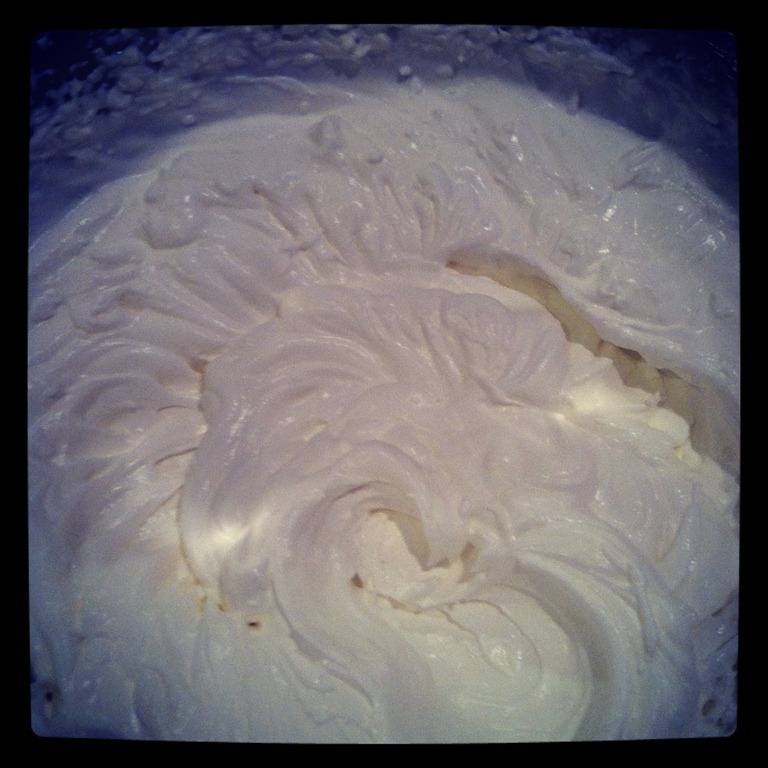 If you've never whipped cream before, and some of you may not have, this is what it should look like. I promise, it will hold and not "melt." 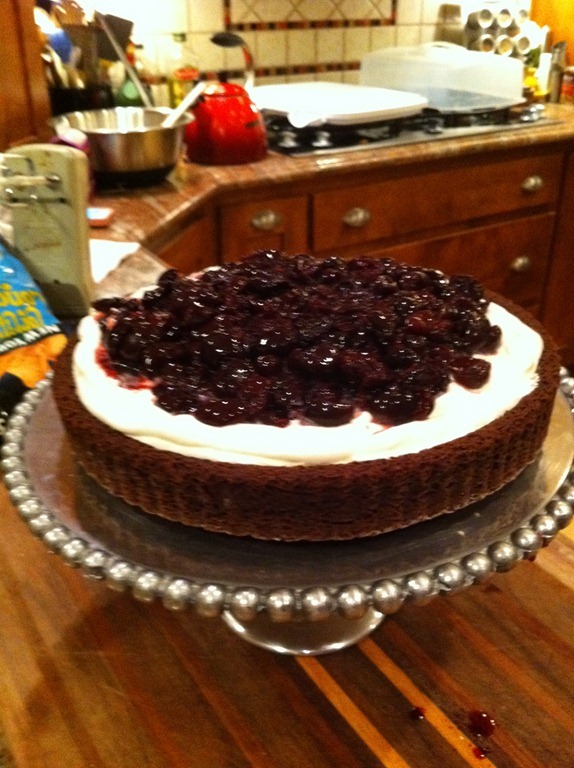 I filled my perfectly rich and chocolate-y cake with the whipped cream and cherries. And Jane had a gorgeous cake! To be honest, it was a leap for me. A giant, anxiety ridden, near paralyzing leap. The delicious result was more than worth the risk. It was rewarding. It was validating. It was motivating. I’m inspired to do it again. Who knows what my my torte pan will render next. 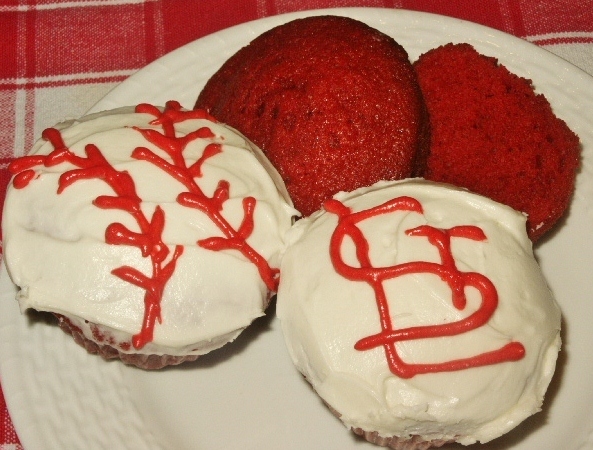 Whatever comes from it, though, I hope you’ll help me Eat It, St. Louis! *Except for when it comes to speed limits. Those are more strong suggestions. ** So, I went to this Pampered Chef party and got caught up in the excitement. I thought I was ordering a TART pan. Yes, I could have returned it, but I started to think about what I’d do with a TORTE pan … and I couldn’t bring my self to send it back. It was a happy accident! *** I should trust my kitchen skills more.